We wait, we postpone, we move to another time. We keep finding excuses not to do something, not to meet someone, not to fulfil a commitment. And we keep telling ourselves that there will be a better moment to do so. “There will come a better time”. We try to persuade ourselves. If we keep waiting for the perfect moment, we will never do anything. Because that moment will never come. It is up to us to take the moments we have and make them perfect to achieve and accomplish all the best we can. We are too coward to take a risk and try our best and instead we prefer to postpone “for some other time”. We end up never taking a chance and in the end even that – seemingly perfect – moment is gone. And there is nothing we can do about it. We shouldn’t live a life regretting the things we didn’t do or lamenting the fact that we don’t have time. There is time for everything. You just have to set your priorities right. With Christmas just a week away, and the New Year a few days to go, we all seem to have something to be waiting for. (I have something more due to my birthday too next week). The lights in the street and the brightly lit houses, the decorations, the fancy atmosphere…they all emit a feeling that something wonderful is about to happen. So we wait…we wait and anticipate that in that one or two days that we celebrate, we will be recompensed for all the hardship the year has brought. We wait and expect that suddenly this wonderful time of the year will lighten our mood and brighten our lives. Because in essence we need to believe that things will turn out as brightly as the decorations we load upon our houses. We need the optimism of the season in order to survive. But we spend almost an entire month, if not more, counting down in anticipation of literally just one day that will pass by quicker than we’ll realise. We wait, sometimes forgetting that life is composed of “nows”, those everyday moments that make up our memories. Those experiences that we share with loved ones, which forge who we are and who we want to become. It is said that good things are worth waiting for, but also that good things don’t last long. The truth is, we also need to try; to put in the effort so that those good things come along a little bit faster and last a bit longer. In the end, life is what we make of it. And it is how we chose to see it and experience it. Caterina looked at the clock on the wall. She was sitting in the waiting room for forty minutes already. But this was normal given the occasion. It was a very popular office and urgent things kept popping up. After all, it wasn’t easy to see a Minister. The waiting room was reminiscent in name to lobbies of medical practitioners. But the atmosphere was very different. The couches were brown leather, but of the “professional” sort, that don’t make noises when you slide across them, and don’t sink as you fall into them. The walls were painted a soft yellow colour that reminded dreamers of the pale colour of sunrise in autumn. And right across the main couch was a framed canvas that read “Good things come to those who wait”. It was a fitting advice, but was it true? Caterina worked as a press officer for a non-governmental organization that closely cooperated with the Minister. She had booked the meeting a couple of weeks in advance and had everything prepared for today. But now, all she could do was wait. And as she waited, her mind drifted. She stared at the writing on the canvas, noticed how the light colours and the curves made the whole painting seem so much more optimistic, and how it actually managed to transmit that positive perspective to the viewer. But Caterina could not shake off that feeling she had lately – that she was alone. No matter the many people who encircled her during the day, she would always return to a home where she would be alone. She missed having someone to share her life with, and her mind (and dreams) were constantly fixed on this thought, or rather, grievance. That was until today. Because today, sitting right under that prophetic painting was Johnnie. Johnnie was a government aide. He was perfect for the job because he was a “people’s person”. He was extrovert and always knew what to say; he could start a conversation out of nowhere, and had a way of making everyone crack a smile. And, according to Caterina, he himself possessed the most engaging smile she had seen in a while. When her eyes fell on him, he smiled widely and winked. Caterina blushed, smiled, and turned her eyes to the floor. Every woman loves being flirted with, but it is the ones who dare to make a further move that usually win their hearts. Johnnie was one of those guys. He got up and transferred himself to Caterina’s couch. “In the next minute, I will have been here for an hour. And you?” he inquired. “Fifty minutes,” she responded a bit embarrassed. “Seems I’m winning this one,” he joked. She laughed. And he smiled so that his eyes gleamed. Men love to make women laugh, especially if it reveals a spark in her eyes. Caterina was one of those girls. That was the day they both realized that sometimes, the good things come when you least expect them, as long as you are open to seeing them and seize the opportunity that arises. 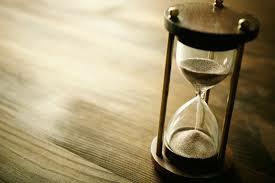 In the end, it doesn’t really matter how long you wait, if what you find truly compensates the waiting time.